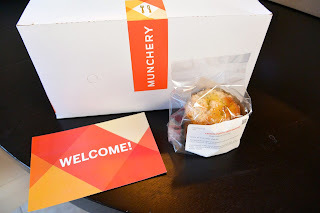 Munchery Meal Delivery - San Diego Dining Dish! With all of the new meal services hitting the scene, it's hard to keep straight who offers what. From easy, 30-minute family meals, to full-blown all-vegan, grain-free offerings, consumers now really have their choice in what sort of meal delivery they might like to use. 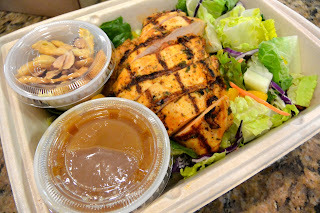 Now, I've tried a salad delivery service local to San Diego, and I must say, it was very good. Munchery has just entered the San Diego market, after serving the Bay Area and Silicon Valley for the past few years. What makes them different? Customers can choose to have cooked food delivered from a convenient online menu, or they can prep and cook their own in 15 minutes using the ingredients and recipe cards provided. I chose to do one of each, choosing the steak avocado salad as my prep meal, and a Chinese chicken salad and baby back ribs as the prepared meals. The delivery is done in a window, with customers being able to choose what hours the food is delivered. The customer receives a text when the delivery person is near, so no worries about food being left outside. The steak and avocado salad came with a lot of ingredients, but the instructions were very clear, and it whipped up in about 15 minutes, just like the card stated. What. A. Salad. The steak was so tender, and cooked up quite nicely. The vegetables were very fresh and crisp, and the flavor of the dressing just tied all of the smoky flavor of the steak with the sweet, fresh taste of the vegetables. 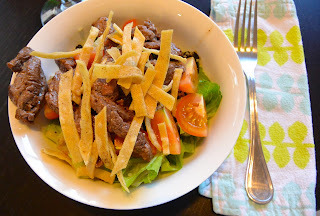 The salad was filling as well, thanks to the hearty black beans, steak, and avocado. For the second meal, we chose the prepared and delivered options. This option includes fully prepared meals, needing merely a warm up or a splash of dressing before they are ready to be consumed. 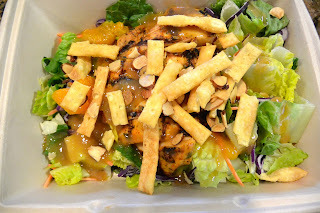 I chose the Chinese chicken salad, which was delicious and filling. The chicken was grilled, and served on a mix of mesclun and iceberg, topped with slivered almonds, crispy wontons, and a delicious honey teriyaki dressing. The ribs were also very filling and quite good. They required a warming, which was quite easy in the oven. 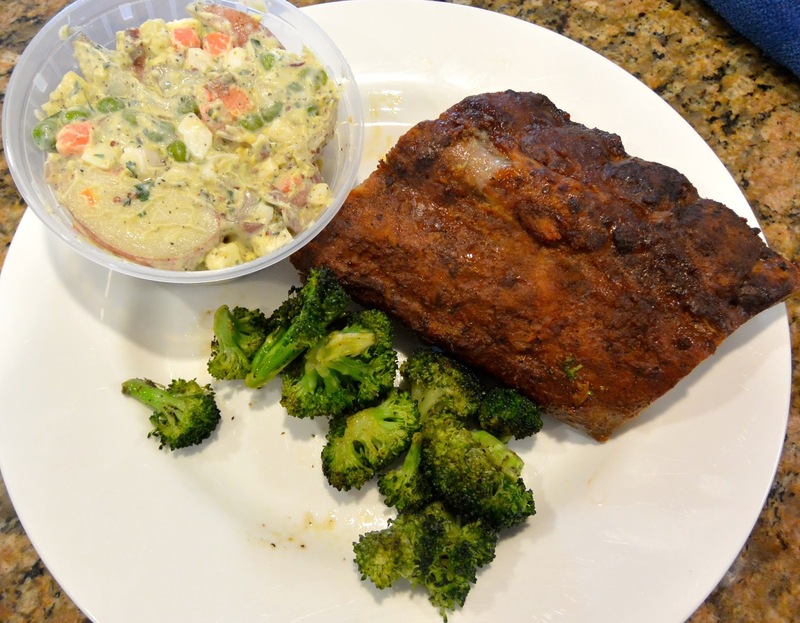 The ribs were tender and tasty, with a ramekin of extra sauce, a side of broccoli, and potato salad. 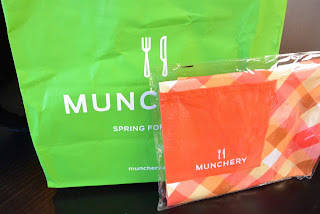 I really liked that users of this service have the option of prepared meals vs. quick-cook-at-home meals. It gives the customer flexibility to choose their options for the week, and the website could not be more simple. There is a good variety of items to choose from, including desserts, breakfast, and alcohol. I would highly recommend this service for people needing dinner/meal solutions.